Six years ago, Stockton, a city of about 300,000 in California’s Central Valley, made headlines as the largest American city to ever file for bankruptcy. Citing a housing market crisis and a desire to restructure their debt, Stockton officials chose bankruptcy in hopes of rehabilitating the city’s financial heath after many years of a failing economy. 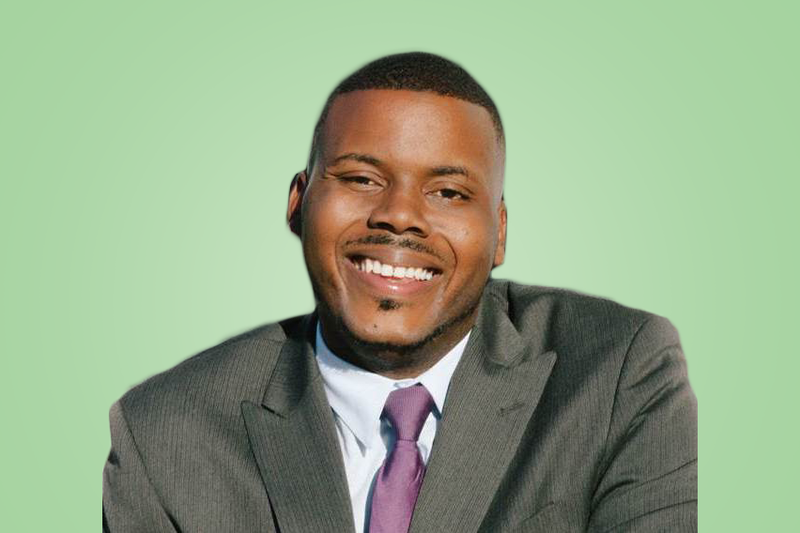 Today, Stockton is still attempting to rebound financially, and under the leadership of Mayor Michael Tubbs, it’s experimenting with new approaches to social programming to both help those currently in need as well as to overhaul its economic policy so as to avoid a similar situation in the future. He’s also brought some star power with him — e.g., Oprah donated $10,000 to his previous run for Stockton City Council and President Obama endorsed him for Stockton mayor a week before the election. “His story is the American story, and Michael will work tirelessly to ensure that Stockton reaches its full potential,” Obama said at the time. Helping Stockton reach its full potential is essentially why Tubbs initiated the Stockton Economic Empowerment Demonstration, one of the nation’s first universal basic income pilot programs that he hopes to launch within the next year. Its objective is to see what happens when Stockton residents are provided an unconditional income floor of $500 per month. While the logistics are still being hashed out, the expectation is that the program will help people better meet their basic needs, afford them more time to deal with changes in their employment status and allow them a chance to save for the future. I spoke to Tubbs on the phone yesterday about how historical proponents of universal basic income include Richard Nixon, why it’s particularly necessary as more and more jobs become automated and the ways in which his own working-poor background has influenced him. Why is Stockton a good place to pilot a universal basic income project? The median household income of Stockton is about $44,000 per household, and 52 percent of all the jobs in our county are minimum-wage jobs. A lot of the folks in our community are barely making it — or are one paycheck away from being homeless or in poverty. That doesn’t mean they aren’t good people, or that they aren’t smart, and I think this demonstration will show that. The reality is, one in two Californians can’t afford even one $400 emergency. Rent and and utility costs have increased, but wages haven’t. People work very hard and still can’t get by. In some cases, households are worse off than they were 10 or 15 years ago, and they’re definitely worse off economically than their parents were. While banks and institutions are able to receive all kinds of government support, the average Joes and Janes aren’t, and that’s not fair. In this context, basic income is an important tool that can be used both to help get folks out of poverty and to supplement the income of the working poor and middle class. Was universal basic income a campaign promise? A lot of my campaign was about innovation and being bold. I didn’t say anything specifically about basic income, but I did insist on the need for us to be bold and try new things as a community because what was happening wasn’t working. Where are you at in terms of implementing the program? We have a project manager who’s currently reviewing proposals from some of the best institutions in the nation — from Harvard to Berkeley to Stanford — all of whom are looking to be our research partner in this experiment. So we’ve got a good batch to choose from. Then, over the next six months, our project manager will move forward with the design phase, figuring out things like how many people can participate in the pilot program and how we will connect with those households. We’re definitely going to include at least 100 households in the pilot. In terms of money, the Economic Security Project has given us $1 million to test this out, but we’re also doing some fundraising, too. For now, the households would receive $500 a month for 18 months, but that could change if our funding changes — meaning more households could receive the benefit, the households could potentially receive more money or both. Earlier this week, former Vice President Joe Biden spoke out against the idea of basic income, saying that having a job is “about more than just receiving a paycheck” and that employment is about “dignity” and “respect.” I’m guessing you disagree. Yeah, it’s an entirely false dichotomy. The vast majority of poor people actually have jobs and work. I don’t think universal basic income suggests that people shouldn’t work. I’d argue that what’s inheritably undignified is that many people spend most of their life working, and yet, they still can’t provide basic necessities for themselves and their families. So much of the working poor spends 16 hours a day working, juggling two or three jobs to feed their families. I don’t see the value in that. I think universal basic income is complementary to folks having good jobs and that both pieces are needed. It wasn’t so long ago that you were a kid growing up as part of Stockton’s working poor. How does that upbringing inform what you’re doing as mayor? My own lived experiences with poverty, violence and education inequality are what make me so passionate about this work. That definitely informs what we do — whether we’re talking about universal basic income, our Stockton Scholars financial-assistance program or our anti-gun violence initiatives. Oftentimes in politics, the poor become caricatures we talk about without knowing. It’s frustrating when people with power stereotype and make assumptions about people they’ve never met. But I recognize how hard these communities work and know they have dreams and aspirations they don’t always get to pursue because of their economic hardship. I’ve met very few lazy people who wanted the government to take care of everything for them. So I’m more than willing to make big bets on “them,” because I know what we’re all capable of when given real opportunity. Is there less of a cost in making those “bets” when you know what exists is failing? Absolutely. I tell people that all the time. The status quo is completely unmanageable. I can’t just live in it without pushing for change. Universal basic income experiments seem really popular among tech futurists and tech companies. Do you consider them, though, friends or foes? I’m thankful that many people in tech realize that they have a responsibility to help us figure this out. We all need to reckon with the people who have already been displaced from their jobs because of automation. And if this phenomenon is bad now, what’s coming up on the horizon is even worse. We have to do something now to prepare us for the worst. At the same time, besides looking to the future, people are already hurting and struggling. The New York Times recently ran a story about how the technological advances of the last 25 years have caused black male unemployment to increase in particular. That makes it a pressing issue today, too, even though solutions for this sort of thing were advocated for 50 years ago. I’m speaking of Richard Nixon calling for a negative earned tax income credit. And long before that, in the late 1700s, Thomas Payne called for guaranteed income, too. I first remember reading about it in Where Do We Go: Chaos or Community? by Martin Luther King. In it, he calls for a federal work guarantee of universal based income. I remember being like, “Oh wow,” but I had no idea that years later I’d be at the forefront of testing such an idea.